Interview with me on Kathimerini, one of the biggest Greek newspapers (in greek). 15 feb. 2015. Î•Ï…Ï‡Î±ÏÎ¹ÏƒÏ„ÏŽ Ï€Î¿Î»Ï Ï„Î·Î½ ÎœÎ¬ÏÏ‰ Î’Î±ÏƒÎ¹Î»ÎµÎ¹Î¬Î´Î¿Ï…. 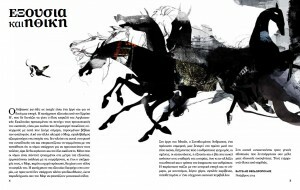 Livin’ and Lovin’ featured me in an article about my work. 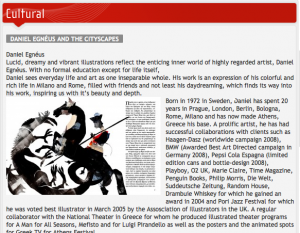 The webportal Livin’ and lovin’ it in Greece wrote a very nice article about my work. 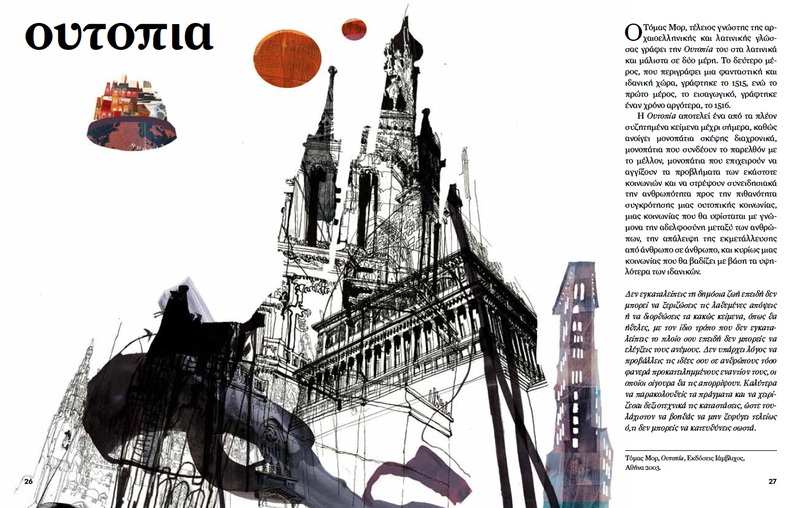 The Greek Foundation on my images of Athens. 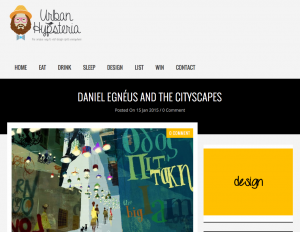 The web portal The Greek Foundation published an article about my images of Athens. 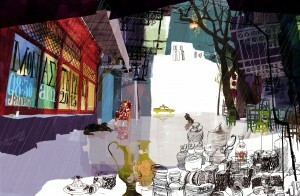 It looks really nice and I’m happy they showed an interest in my drawings. 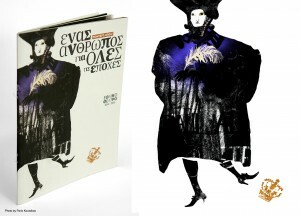 Illustrations for The National Theater of Greece – Î•Î¸Î½Î¹ÎºÏŒ Î˜Î­Î±Ï„ÏÎ¿. 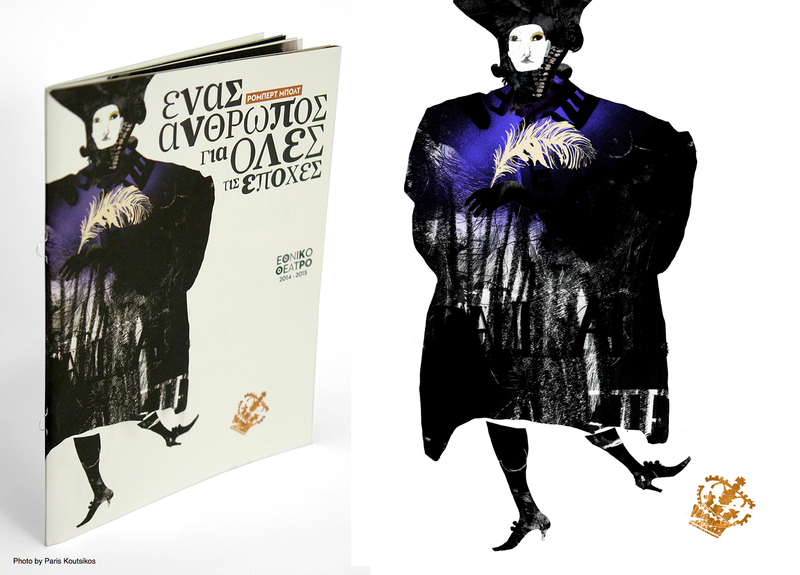 On three occasions I have had the privilege to fully illustrate the theater programs for The National Theater of Greece – Î•Î¸Î½Î¹ÎºÏŒ Î˜Î­Î±Ï„ÏÎ¿. 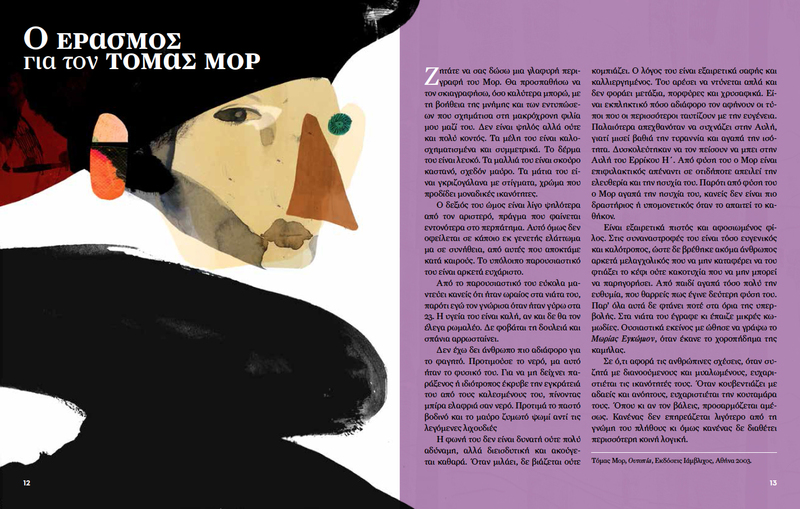 This time I illustrated Robert Bolt’s A man For All Seasons – EÎ½Î±Ï‚ Î¬Î½Î¸ÏÏ‰Ï€Î¿Ï‚ Î³Î¹Î± ÏŒÎ»ÎµÏ‚ Ï„Î¹Ï‚ ÎµÏ€Î¿Ï‡Î­Ï‚ Ï„Î¿Ï… Î¡ÏŒÎ¼Ï€ÎµÏÏ„ ÎœÏ€Î¿Î»Ï„. 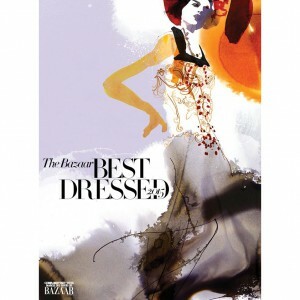 Paris Koutsikos did the great graphic design on all three of the programs. Each one contains around 15 – 20 images. 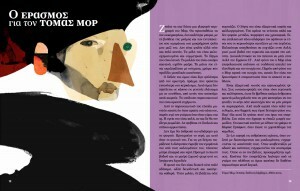 Here you can find a larger selection of illustrations I did for the plays by Luigi Pirandello, Klaus Mann and Robert Bolt. 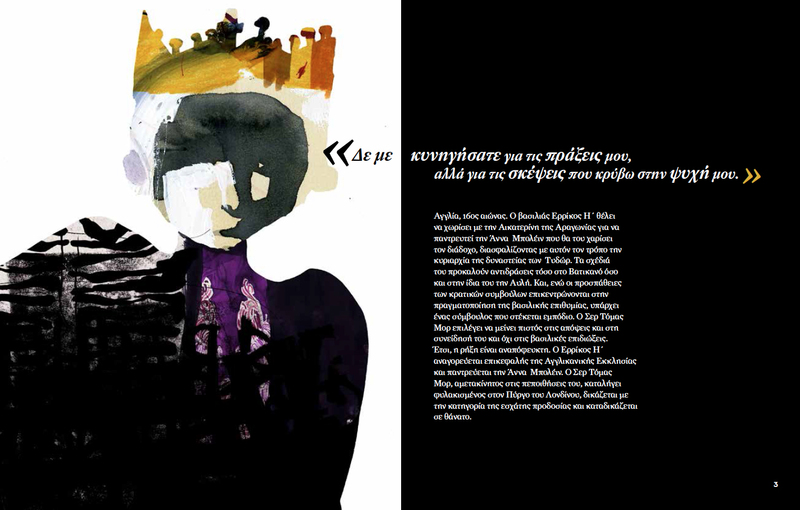 Special thanks to Paris Koutsikos and Maria and Rania at the Theater. London Art Fair 21 – 25 January 2015. You can see my work at the London Art Fair 21 – 25 January 2015. Represented by Decorazon Gallery. Welcome! 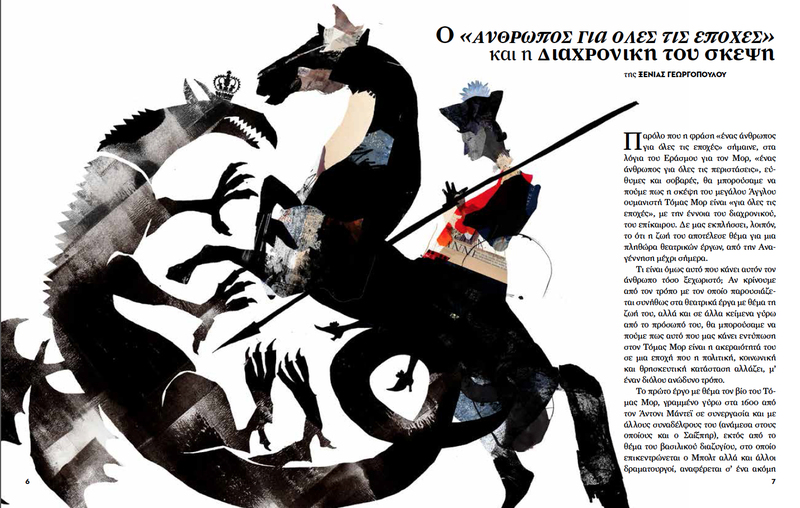 Greek Mythology: The Voyage of Argo by Apollonius of Rhodes with illustrations by Daniel Egneus. 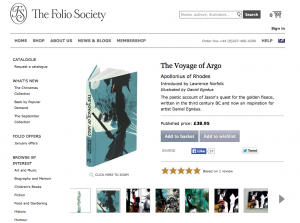 Folio Society in London asked me to illustrate the poetic account of Jason’s quest for the golden fleece and the blooming love story between Jason and Medea, written in the third century BC by Apollonius of Rhodes. 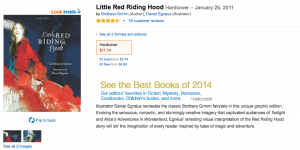 It’s available online at their website. 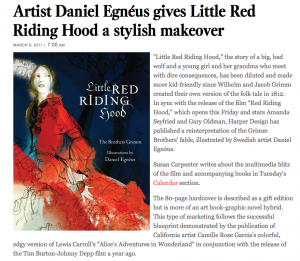 Little Red Ridinghood illustrated by Daniel Egneus still available online at Amazon.